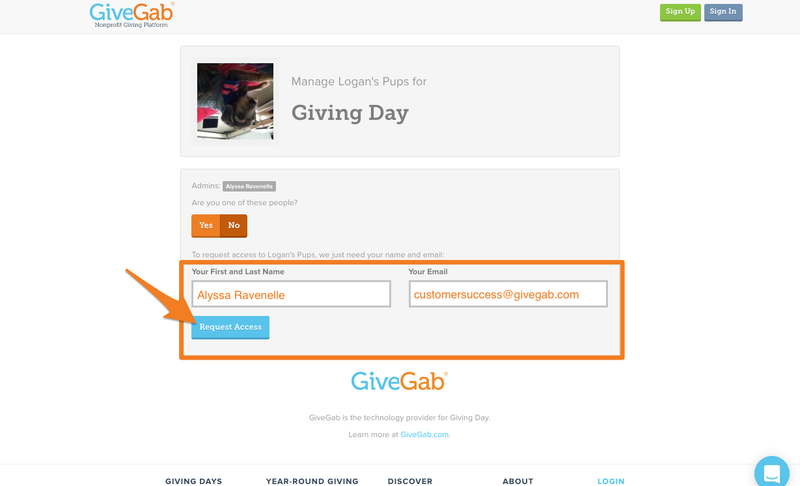 How do I request Admin Access to my organization for a Giving Day? 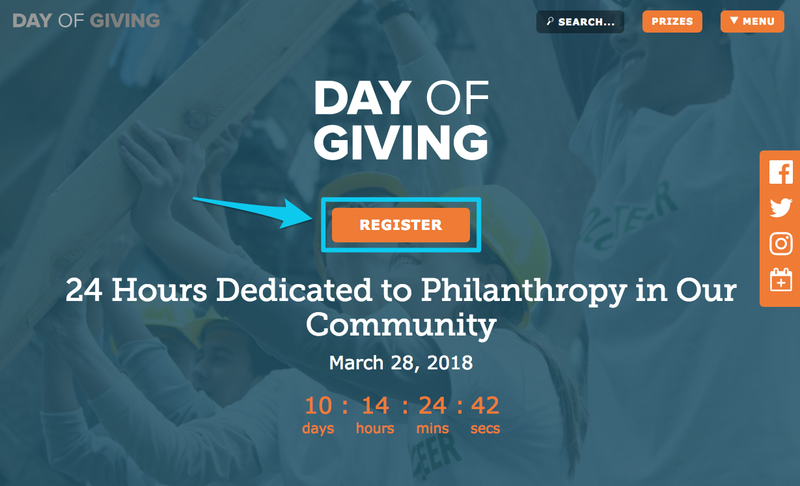 Head to the Giving Day website you'd like to participate in and click the "Register" button on the main landing page to begin the registration process. In the search bar, type in your name and click "Search". When the organization you'd like to claim access to appears, click the "Participate" button. If you are listed in the list of Admins, click "Yes" and you'll be prompted to login. If you are not listed in the list of Admins, click "No". You'll be prompted to enter in your First and Last Name, and Email Address. Enter those, then click "Request Access". An email will be sent to all current admins to approve your administrative request. What if none of the admins listed are still with the organization? If the current administrators listed are no longer associated with the organization and are unable to approve your request, please send a letter to the GiveGab customer success team on your organization’s letterhead confirming that the current admin on your account is no longer associated with your organization and that you’re authorized to take over that page.